SDL Botnet Downvote Neutralizer Report 2018-07-03steemCreated with Sketch. Have you received annoying downvotes from any of the below accounts? @neutralizer and @randohealer have your six. Operation Downvote Denied is underway. The below upvotes were employed to counter these downvotes. The reason behind the downvotes is simply revenge. If you had ever upvoted @abusereports or @steemcleaners, you are likely on their "naughty" list. It's a a load of crap to downvote another Steemian based on what they upvote so we're doing what we can to not only cancel this little pinprick downvotes but also give an extra randomized vote. In effect, this group is achieving the exact opposite of what they would have intended in downvoting their targets. They are actually helping them out. 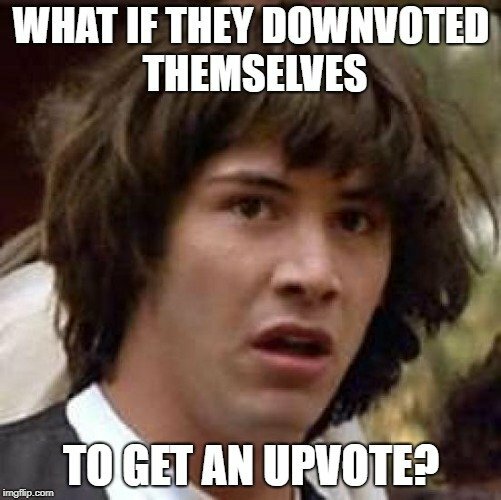 You may ask, "What if they downvote themselves in order to receive upvotes?" Don't worry. We've got that one figured out. The script block for upvoting the post/comment will not execute if the author is in the list of accounts above. Anyways, if you appreciate the effort, we would be thankful for any support to reinforce our counter bots to continue cancelling the votes as this botnet of miniscule accounts keeps growing. The remaining sets from this round will be published in the comments. Here's a quick and easy set of links to delegate 2.5 SP to @neutralizer or @randohealer to continue counter ops. I'll gladly delegate some SP. If you had to choose, would you prefer me delegating to @neutralizer or @randohealer ? Or maybe half the amount each ? @randohealer adds the bonus upvote and is slightly behind @neutralizer in terms of VP so think he would be a good choice to balance it out. Delegated 40 to @randohealer and 15 to @neutralizer to balance it out. I'll delegate more if needed in the future. Oh that list is nowhere complete, they've added more bots since! I'll delegate if you guys can shield me away from those fkers. Oh that list is nowhere complete, they've added more bots since! I'll delegate if you guys can shield me away from those fkers. We're working on improving the system and implementing an auto update of the blacklist feature but for now it is just a singe list variable in Python. Any delegation is appreciated. Do you need the other bot names affiliated with this douchebag? I have them. That would help. @johngreenfield is maintaining a list. I plug the names into my script for next run once the bots VP recharges. @neutralizer you were flagged by a worthless gang of trolls, so, I gave you an upvote to counteract it! Enjoy!! As far as I am concerned, everyone on that list affected is a rockstar. Thank you so much for being the A-Team of steemit. I have recently been targeted by spambots as well. My big question is this: is there any way to avoid their notice or their ire? I have no bottom line for them to effect, but it's the thought that counts. And thank you all for taking steps to negate the bots. hey, looks like you found the link. i just put this up in discord where you came asking what the flags were for. from the info above, it looks as "if" you upvoted abusereports or steemcleaners you would have gotten a bot flag. thus, the solution above. i hope they help you!